GM Professional Accountants is based near Canning town and we provide Specialist Accounting and Tax Services near Canning Town. At affordable prices and efficiency guaranteed with GM Professional accountants. We make it affordable and hassle free to handle your tax affairs. Our accountants specialise in small businesses and in self assessment for business or personal tax. We help you prepare, complete and submit your company accounts, Sole Trader Tax Returns and Personal Tax returns. We help you through the whole process from bookkeeping until your final accounts. Your small business accounts are in capable hands of our specialist accountants. We answer your tax returns question for free without obligation (only once you have passed due diligence). This is part of our tax return package here in East London. Our Accounting Practice near Canning town offer great packages for Contractors, Restaurant Owners and Taxi Drivers that need a limited company set up and managed. GM Professional Accountants are experienced in many business sectors, which have gained over 10 years. For employed individuals who feel as they have been taxed unfairly may come to us with any queries. Tax Refunds can be dealt by our Accountants, we can deal with any issues that may have occurred on your payslips and contact HMRC directly for you. There are many reasons for this, one may be because you have changed jobs during the Financial year. Speak to one of our Accountants in East London today. Our professional accountants process your Company accounts and tax returns in a fast accurate manner that enables you to keep your tax affairs up to date. Our accountants shed light on areas where expenses are to be claimed for in your tax return. 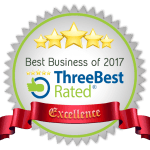 We are rated the best accountants in Newham by three best rated. For more information about our Accounting and Tax Services near Canning Town, Contact GM Professional Accountants today.